All natural herbal blend especially formulated for dogs (and cats) suffering from Cushing’s Disease. Helps reduce cortisol levels & the symptoms associated with the disease. Half the price of similar herbal blends. Supports normal function of the adrenal glands. For best results, try to feed away from meals and follow the instructions. 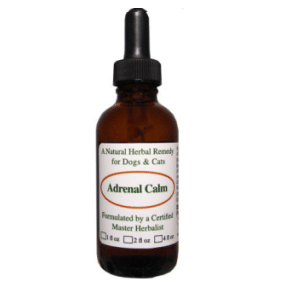 If your dog is suffering from Cushings Disease, we highly recommend not only using the Adrenal Calm Tonic, but the entire protocol including the Daily Multi which can be found here AND Biopreparation F2 found here, to help your pet cope with the symptoms associated with Cushings Disease. 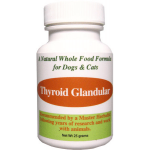 Our objective is to help you safely decrease the effects of your dog’s body producing too many glucocorticoid hormones. This is done through a wholesome diet, supplements and herbs that help strengthen and support the hypothalamus, pituitary/adrenal glands, and the liver. Following our recommendations & natural remedies for cushings disease in dogs helps to reduce the severity of the symptoms associated with Cushings. If benign tumors are present around the adrenals and/or pituitary glands, curing Cushings Disease can be unreachable. However, following a protocol of a healthy wholesome diet (outside of kibble), the right supplements including this one, and daily exercise, your Cushing’s dog can have the quality of life he needs to be happy and comfortable on a daily basis. Other Ingredients Include Organic vegetable glycerin and distilled water. Alcohol free! DOSAGE: Give 1 ml for every 25 pounds of your dogs body weight 2-3 times a day. **Note ** You can safely use up to 4 ml for every 25 pounds of your dogs body weight 2-3 times daily for a short period or NO MORE THAN 10 DAYS. FOR BEST RESULTS TRY TO FEED AWAY FROM MEALS and place directly in the mouth. Place your finger inside your dog’s lower lip, closest to the cheek area, and then place the liquid between the cheek and teeth (don’t tilt the head and drop into the throat). Once your dog starts to show improvement, move to giving the Adrenal Calm every day for 5 days with 2 days off. No need to refrigerate as long as you use it within several weeks. For longer storage, refrigerate. If your dog’s condition gets worse or doesn’t improve, stop using the product and consult with your vet. Helpful tip: 1.25ml is equal to a little less than 1/4 tsp. ***NOTE*** This product is packaged for human consumption, but perfectly safe for dogs. It is considered a glandular which works by supporting the corresponding glands; in this case, the adrenals. 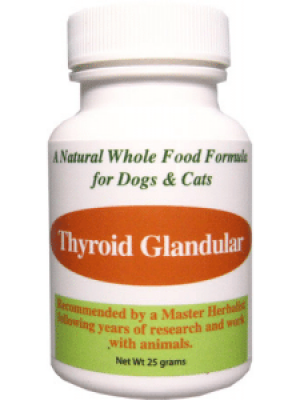 If you suspect that your dog has Cushings Disease, but there’s been no official diagnosis; this product is considered a food (not a drug or even an herb) and is safe regardless if your dog actually has Cushing’s Disease or not, by providing support to the adrenal glands. How Astragalus Root Helps Dogs? Astragalus root is good for both humans and dogs. Its consumption is beneficial in many ways. Apart from boosting immunity, astragalus improves the overall functioning of the spleen, liver, and kidneys. It is one of the most effective treatments for infection in the kidneys in the early stages. It also brings down the stress level among dogs. Astragalus roots have been used since ancient times to treat various bodily ailments in humans; however, their use is as effective for dogs as it is for humans. Astragalus roots significantly help in improving the overall respiratory system and blood circulation in dogs. How Do the Ingredients in Adrenal Calm Help? Eleuthero Root – Also known as Siberian ginseng and is an incredible herb that includes strong antioxidants. It also helps the body to tolerate stress which naturally lowers the Cortisol levels in the body. Holy Basil Leaf – Known as a sacred plant in India. Holy basil helps your dog fight weakness and stress. 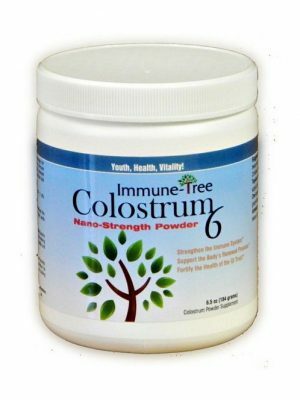 It improves the immune system, hormone levels, blood sugar and blood pressure. Ashwagandha Root – A powerful immune boosting herb that’s been used in traditional Chinese medicine for over 2,500 years. It also lowers Cortisol in the body. Astragalus Root – One of our favorite herbs for immunity and stress. TCM (Traditional Chinese Medicine) has been using Astragalus for thousands of years for the immune system and to protect the body from the effects of stress. Astragalus boosts the number of anti stress compounds the dog’s body uses to restore and avoid the damage caused by stress. It’s also believed that Astragalus may inhibit Cortisol from binding to hormone receptors. Rhodiola Root – Rhodiola is known for it’s ability to protect from both mental and physical fatigue caused by stress. Chaste Tree Berry – This herb is considered an amphoteric herb; meaning it helps to stabilize hormone levels that are out of balance. 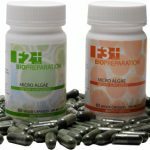 It works by supplying a mild, restorative boost to the anterior pituitary which is responsible for supporting the glands adrenal hormone levels. Burdock Root – Burdock Root is another of our favorite herbs. The liver’s role is to help eliminate excess hormones and waste products traveling through the body. Burdock Root is known for it’s powerful ability to cleanse the blood, which is what it’s used for in this particular formula. It helps strengthen the liver and eliminate waste that affects the body’s entire system. Flaxseed lignans are another option for dog cushings disease natural treatment. Learn more here.